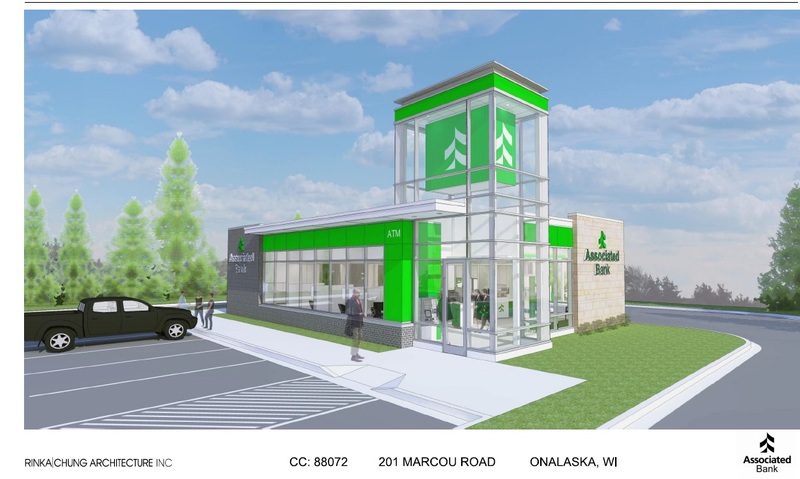 Associated Bank has announced plans to build a new branch bank at 201 Marcou Road in Onalaska. The contemporary branch, expected to open in early summer 2015, will replace the in-store branch at Woodman’s on Highway 16 when that lease ends in June. When completed, the Marcou Road branch will feature Associated’s unique branded architecture in an efficient 2200-square-foot facility. Features include two teller stations, three drive-thru lanes, a technology kiosk, and a vestibule with an ATM allowing 24-hour access to banking services.